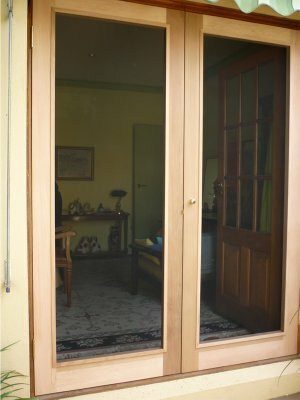 French door details and features are similar to Hinge doors with the only real difference being that French doors will have a Mushroom stop on the back of one of the doors (the idle door) for the other door (active door) to close against. 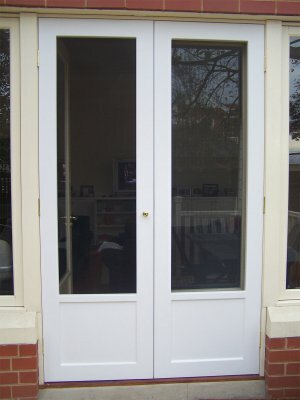 In most cases, the idle door will have patio bolts attached top and bottom to secure them in position. These are easily released for the times when you may need to open both of the flyscreen doors at the same time. 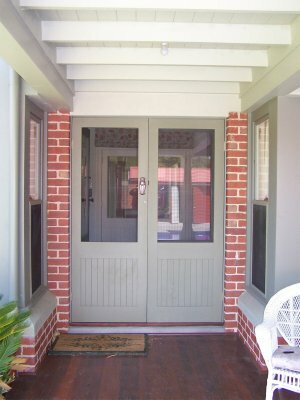 But usually, only the active door is used for regular ingress and egress. 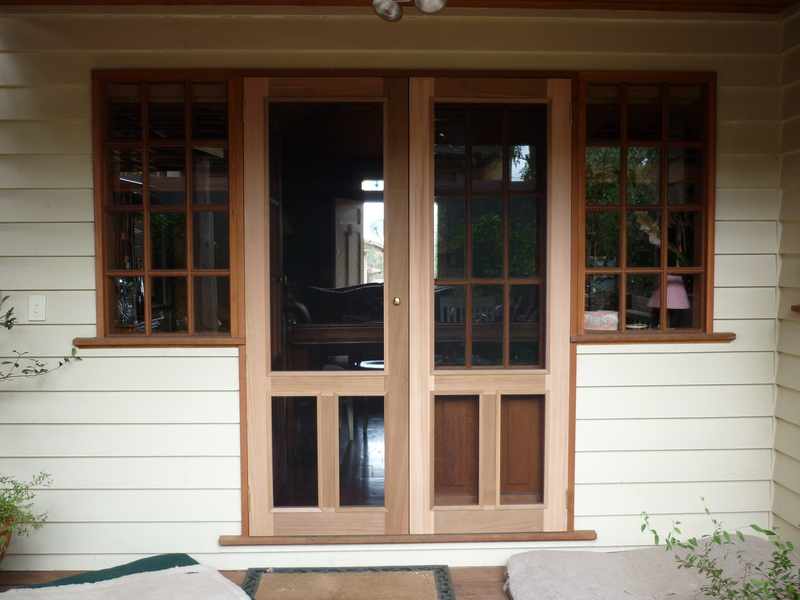 French doors can be installed either internally or externally. 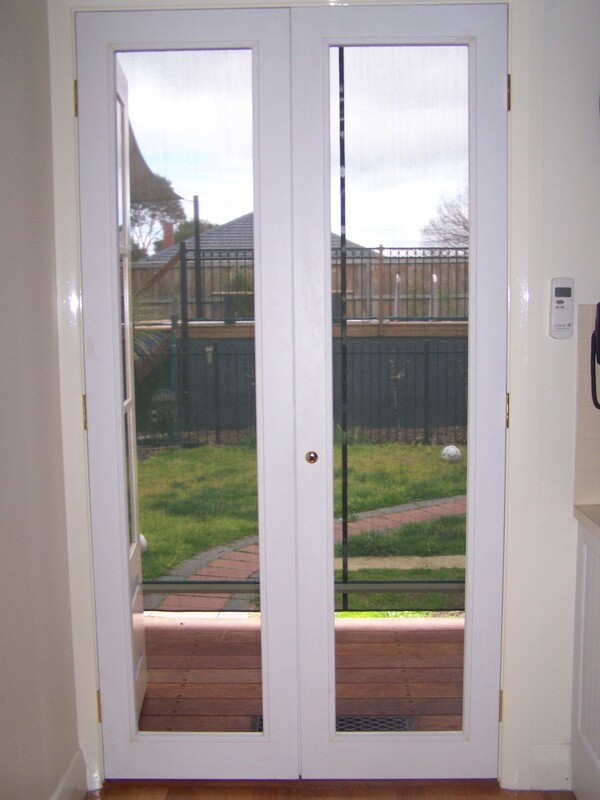 Hint – If your existing doors are mounted externally and you are worried if the Flyscreen doors swing inwards that you may not have the room, just keep in mind that only the “active” door requires regular access and the “idle” could have furniture or alike in front of it. It will only be on the occasions when you require the full width access that it may need to be opened.